Here Sensei Wu (the fellow with the wide hat) recalls a time when he discovered a tropical island which had been turned to glass. 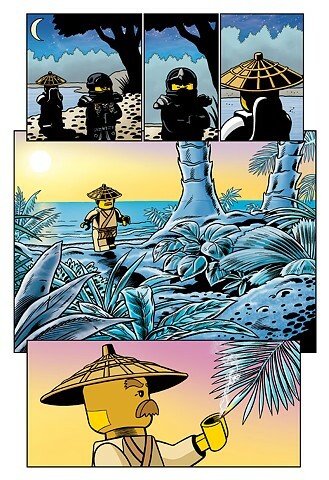 I like the interesting environments and situations Greg Farshtey comes up with for Ninjago. Jay Jay Jackson does another great job with the colouring here.